What are you passionate about? Where do you see opportunities for expansion, development, or improvement? What are your favorite classes? How do you learn best? 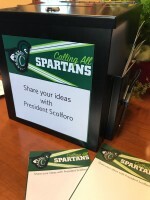 Leave a comment below and help transform Castleton University.